Sound and Fury: Does Abe’s Constitutional Revision Really Matter? 作者: The AsiaN Editor on 18 January , 2019. Much attention has been paid recently to Japanese Prime Minister Shinzo Abe’s desire to revise the country’s constitution in what would be the first and only change since it was adopted in 1947. The focus especially has been on his intent to change Article 9, which prohibits the country from engaging in war and maintaining armed forces. Indeed, there has been much domestic polarization as well as anger and consternation in some parts of East Asia over potential changes to Article 9. The two Koreas and China, which suffered so much at the hands of the brutal Japanese Army in the Pacific War, oppose a more assertive or armed Japan for both sincere and self-interested political and strategic reasons. 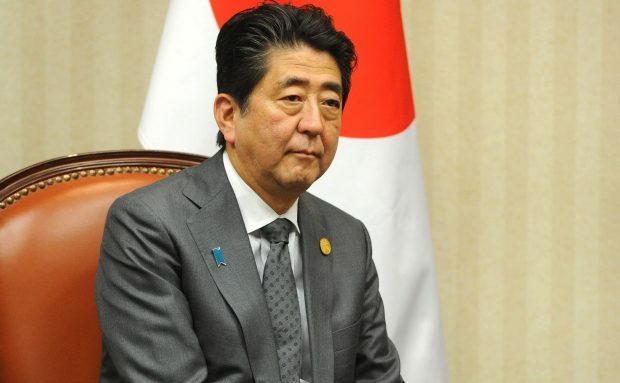 Undeterred by domestic and international concerns, after Abe was re-elected for another term as president of the ruling Liberal Democratic Party (LDP) and thus as prime minister in September, he made clear it that he will push ahead to revise Article 9. After the return to power in 2012 of Abe and the conservative LDP, the party’s now-predominant right wing has been hoping to realize its long-delayed chance to make Japan a more “normal nation” — one with a legitimized military and a situation where Japan can be more like other US allies. They want a Japan unencumbered by the restrictions of Article 9, without questions about the legitimacy of contributing to the military alliance with the US, and without so much resistance from a still somewhat anti-militarist public. In the same year that Abe and the LDP resumed power after an unusual three-year hiatus led by the more anti-militarist Democratic Party of Japan (DPJ), the LDP came up with an ambitious draft proposal. This would have paid lip service to Japan’s “pacifism” and would have maintained the constitutional prohibition on war and the use of aggressive force contained in Article 9. But it also, however, made clearer the legitimacy of the Self-Defense Forces, Japan’s powerful existing military (renaming it a “National Defense Force”), giving it the legitimate right to defend itself that had already been the accepted interpretation of Article 9. The proposal included the right of collective defense — to come to the aid of the US and possibly other allies, which for most of the postwar period has been opposed by the public and outside the bounds of the Cabinet’s interpretation of Article 9. Despite opposition, Abe and the LDP’s majority in the Diet revised the law last year to make it acceptable under certain strict conditions, but without a constitutional amendment. The 2012 LDP proposal would have enshrined an even more expansive interpretation, closely approximating other American allies. In some ways, this would be more in line with other democratic countries such as Germany, where the legislature can debate, decide and pass laws or amendments interpreting the constitution that can then be approved or overturned in the highest court. Also, even the 2012 proposal maintained the “defense only” restriction, only widening its meaning to include “collective defense.” On the other hand, it would be a drastic change from Japan’s past, where the constitution’s original wording seemed sacrosanct to much of the public. In recent years, however, interpretations of Article 9 were left to the administration in power and whatever it could get away with in the face of public opinion. The 2012 LDP proposal has since been greatly watered down because it would clearly not win the approval of the required majority of the still anti-militarist public in a referendum. Opposition within and without the LDP would also make it difficult to attain the two-thirds majority in the Diet required prior to a public referendum. The LDP’s moderate coalition partner, the Clean Government Party (CGP), has been crucial in diluting the ambitious proposal. In the 2018 LDP presidential election campaign as well, Abe’s losing but no less conservative opponent, Shigeru Ishiba, even argued that changing the constitution was premature. But after winning, Abe continued to insist on prioritizing some constitutional revision. The LDP has now agreed on a minimum revision that would only change the second clause of the article to clearly legitimize the Self-Defense Forces (SDF). Yet, it is not certain that the CGP even now would agree to make it a legislative priority. In any event, any change at all to Article 9 is not popular with the Japanese public. Polls currently show a majority or near-majority already opposed, with less than 40 percent approval, and that the public doesn’t consider revision of the constitution a legislative priority at all. Although the LDP recently decided to postpone introducing a revision this year, it is very probable that one will be introduced in the next year or two, consuming much of the political air for the rest of Abe’s term. Whether for or against revising the constitution, what no one seems to be asking is how much it really matters. If the LDP doesn’t succeed in the revision, many assume current policies will have little import for Japan’s security future. If the LDP’s proposed revision passes, many others assume it may presage a momentous change. But are either of these assumptions valid? Japan’s constitutional security problems stem from US policies during the post-War occupation of Japan. After the US gave Japan its “no war” constitution, it went back on its original intent in Article 9 when the Cold War began, polarizing Japan into left and right over the alliance relationship with the US. Prime Minister Yoshida Shigeru at the time had to pacify the US to maintain its protection while not further polarizing Japan and alienating its Asian neighbors. After Japan regained its sovereignty in 1952, a conservative consensus gradually emerged over what came to be called the “Yoshida Doctrine,” which built up the Self-Defense Forces but relied primarily on the US alliance for defense, limiting the SDF to an auxiliary role and only in direct defense of Japan. This became established dogma among moderate conservatives but after the electoral reforms of 1994, it also became the policy of more centrist and moderate major parties, including the current LDP coalition partner, the CGP. Thus Japan, except for a small minority of recalcitrant socialists and communists, has never really been “pacifist.” Instead, it may be said to have a strong anti-militarist political subculture that has held on to the moderate conservative Yoshida Doctrine in practice, while making the original wording of Article 9 symbolically sacrosanct. Thus, the only thing “pacifist” about Japan for many years was the original US-imposed Article 9. Meanwhile, some more conservative LDP administrations since the 1980s under Prime Ministers Yasuhiro Nakasone, Junichiro Koizumi and now Abe have reinterpreted Article 9 to the point where Japan now has a quarter of a million soldiers in uniform, the second best navy in the Pacific and a competent and continually modernizing air force. Further, Abe’s LDP has expanded its interpretation in several unprecedented ways so that now the SDF can engage in collective defense under limiting conditions. Even the more liberal DPJ administration that was in power from 2009 to 2012 seemed to want to pull Japan back to the Yoshida Doctrine. Yet it continued Japan’s co-operation with the US in developing ballistic missile defense (BMD) that may entangle Japan in collective defense of the US, whatever the constitution says or a particular administration or the public desires. Further, in the light of China’s large and rapidly modernizing military, an erratic and threatening North Korea, and the current US administration’s potential to diminish the US presence because President Donald Trump is dissatisfied with Japan’s contribution to its own security, these military enhancements have not turned out to have been irrational. • Trump’s foreign policy of dunning allies for their economic competition and not contributing more militarily. All of these have undermined the conditions that made the original Yoshida Doctrine viable. The real, unexamined questions in the debate over the constitution should be whether it is healthy in a democracy for there to be such a gap between the current international, regional and domestic reality and what the constitution literally says. How to reconcile Japan’s inability to contribute further to the democratic international security order in the face of the security threats that now confront it? Should the interpretation of Article 9 change depending on the administration in power or should the Diet and the courts interpret it? And most important, there seems to be a reluctance to consider realistically what are the future security consequences and dangers of diminishing or maintaining that gap? Those who oppose any revision think the current status quo is fine, and with almost-religious fervor, they insist that any change will open the floodgates for Japan to once again become an aggressive military power, or get drawn into a war because of the US. The former fear is silly, given the viability of Japan’s democracy and the public’s anti-militarist attitudes, the electoral accountability of the system, and the political party situation (with the CGP and opposition parties as a brake). On the other hand, the latter is a quite rational fear represented by the more universal “alliance dilemma” of smaller powers allied with a major military power. This is a crucial consideration, especially for a country that has enjoyed the blessings and benefits of peace under US protection for almost 75 years: how not to become abandoned by the bigger alliance partner or become trapped in military adventures that are not in its interest. Regardless of whether the constitution is revised or not, entrapment and contributing militarily to prevent abandonment, or not contributing more and thus causing conflict with the US, are distinct possibilities anyway, given the already existing LDP changes to the Yoshida Doctrine, as mentioned above. The latter already have raised US expectations about future contributions. Japan long has had its cake — refusing military entanglement due to Article 9 — while eating it too: selectively contributing in non-military or at least non-combat ways to the US alliance to prevent abandonment. Can this continue in the shadow of the threat of China and North Korea in the Pacific region, the aforementioned changed de factosecurity policies and the heightened US expectations in the age of Trump? What Is Different in Japan? The current LDP-Abe proposal for an amendment only makes explicit that Japan is legally allowed to maintain a military for defense, which it does anyway. This has been a controversial issue in postwar Japan, but it has not been so in Germany, with its similar “no war” Basic Law (Constitution). Why? Japan’s constitution was imposed on it before the Cold War became clear and the Chinese Communist revolution succeeded. Thus, the US at the time didn’t want or require any military assistance from Japan. When it changed its mind after 1948 and desperately needed an ally in East Asia, the anti-militarist subculture whose touchstone was Article 9 was predominant and the best the US and Japan’s Supreme Court could do was reinterpret it to mean a military only for self-defense. Germany, on the other hand, didn’t adopt its constitution until 1948-1949, by which time the Cold War and the establishment of the North Atlantic Treaty Organization (NATO) meant incorporating collective regional defense and the legality of the Bundeswehr (armed forces) into the constitution despite its no war provisions. This allowed subsequent German administrations to legitimize whatever military actions the public would support by revising its Basic Law or going to the Constitutional Court to legitimize them. Thus, Germany doesn’t face the same gap, contradictions and dilemmas that Japan does. Indeed, it is currently considering re-introducing conscription, which it previously abandoned. Every alliance decision and issue in Japan, on the other hand, becomes entangled in fundamental controversies about the basic legitimacy and legality of its armed forces and regional collective defense. Whatever the fate of the current constitutional revision under Abe, it will do nothing to change this constitution-reality gap, these contradictions, or to answer any of these overarching security questions. Nor will it deal with the future potential consequences, dangers and challenges, whatever the outcome. If this amendment passes, future conservative administrations may be encouraged to seek additional revisions and, if they have public support, further revise the constitution to expand and legitimize Japan’s military capabilities and strengthen Japan’s security, overcoming Japan’s (diminishing) anti-militarist political subculture. This has the advantage of bringing the constitution more into line with reality. But another danger may present itself. Will Japan be less able to refuse entanglement with the military actions of its ally — i.e., less able to use Article 9 as an excuse not to support American military involvements without harming the alliance relationship because it will have further raised US expectations about Japan’s security role? This is what opponents of the current revision fear. Rarely discussed, however, is whether entanglement is any more likely if the constitution is brought into line with reality? The conservatives’ prior changes may have already done much to raise those expectations. And Germany, after all, without Article 9’s current wording, was able to say “no” to the US invasion of Iraq. The more likely alternative scenario has its own potential dangers. If the current revision fails, then as now, the administration in power will determine what the constitution says depending on circumstances and its political make-up. This will give Japan more flexibility depending on the situation. However, if Japan becomes embroiled in a severe security crisis in which the US expects it to bear its share of collective defense and constitutional interpretations prevent it from doing so, it could cause a real crisis in the alliance whatever the constitution says. On the other hand, if an administration responds on behalf of the US without majority public support, a severe domestic crisis may result, especially if Japan were to inflict or suffer casualties. It also might result in dangerous confusion in potential rivals such as China and North Korea over whether and how much any Japanese administration will respond to a military crisis. Without further revisions, the gap between reality and Japan’s current security regime will only widen, and Japan is setting itself up for a domestic or international alliance crisis — and possibly both. The current very limited constitutional revision the LDP is proposing probably will not change any of these possible scenarios. In the present debate, no one seems even to be raising the real questions or discussing the likely real security dilemmas Japan will face in the future. Given Japan’s difficult alternative future scenarios outlined above, the brouhaha over the likely minor, long-overdue constitutional revision to legitimize the reality of the SDF increasingly seems like bunraku, or puppet play. In this genre of Japanese theater, puppets with realistic faces and expressions perform interesting human dramas. But the puppeteers manipulate them not from above as in Western puppetry, but on stage next to the puppets wearing simple black costumes and hoods. The audience is supposed to pretend they are invisible. Similarly, as the great “drama” of this first minor constitutional revision plays out, the supporters and opponents will continue to ignore the deeper, more important questions and pretend they don’t exist. They will inevitably have to confront them in the future anyway.